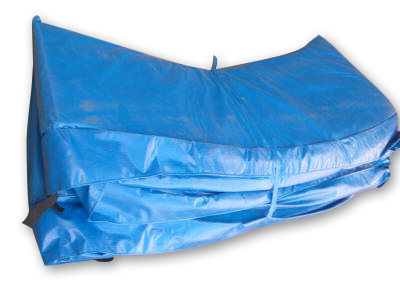 Blue PE poly-tarp UV treated material cover with high density foam inside. 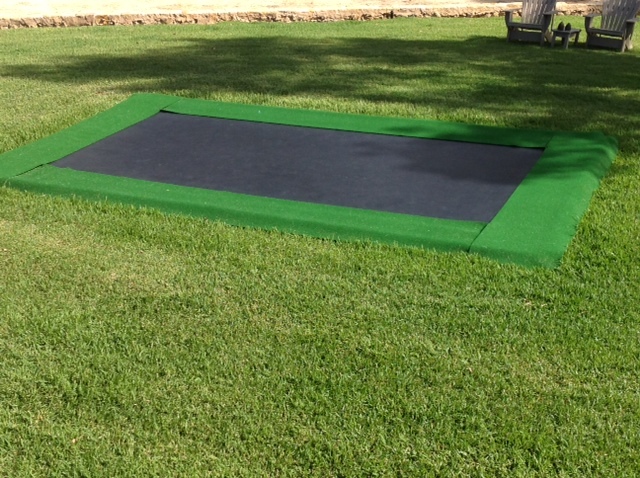 Spring pads cover the springs and frame of the trampoline. 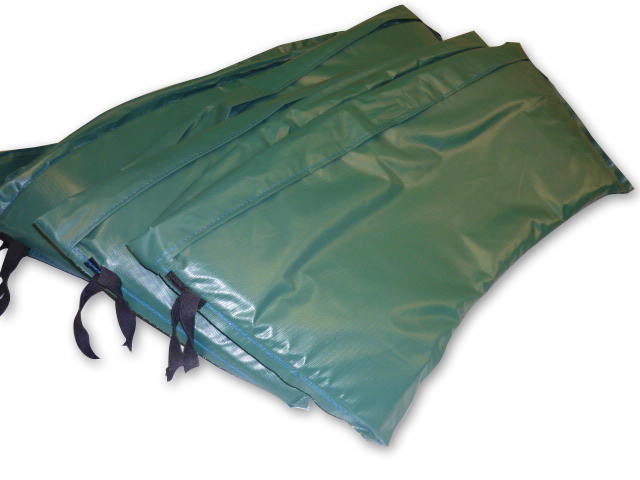 They offer some degree of protection from injury, and also act as a visual enhancement for the jumping mat. They tie onto the frame. 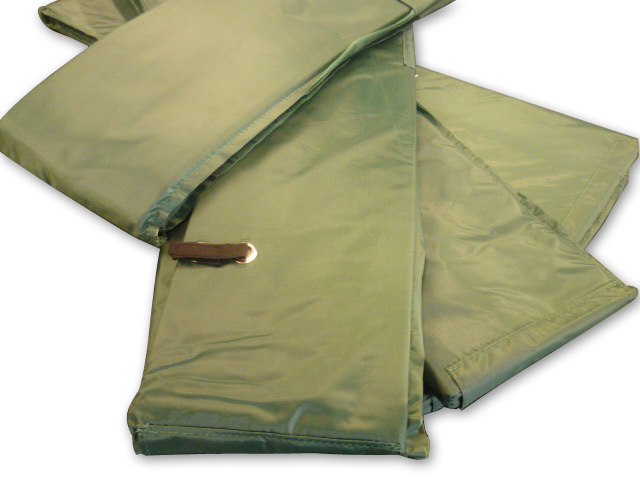 The blue spring pads have a PE poly-tarp UV treated cover, with high density foam inside. Foam thickness inside is 11mm – 21 mm (wedge shaped). It is difficult to estimate the lifespan of trampoline pads because it depends on climate, daily sun exposure, and level of usage. Generally, you can expect 1 – 2 yrs for our Blue PE spring pads.